"Ae Fond Kiss, and Then We Sever", more commonly known as "Ae Fond Kiss" is based on the poem of the same name by Robert Burns. The story is of the love affair between Robert Burns and Mrs Agnes (Nancy) McLehose ("Clarinda" in the poem) between December 1787 (when he first met her) and January 1792. Burns wrote nine songs to Clarinda and is said to have written this sad, passionate, love song as Nancy sailed from Greenock to the West Indies. 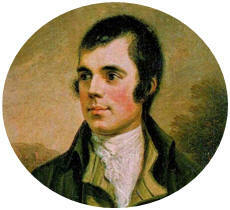 The song is Burns' most recorded song.